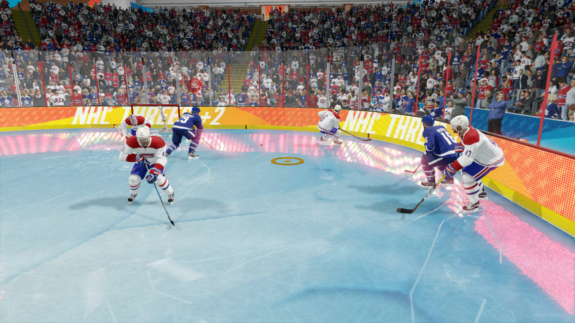 The Beta for NHL 18 has hit and it’s your first chance to try out a brand new mode EA has introduced: NHL Threes. The mode tries to put a light on how the NHL is becoming a faster game, and it succeeds in that. The game is fast-paced with constant scoring chances. It’s the type of play that makes fans want to make the three-on-three overtime in actual NHL games longer. Fans want to see more of this type of hockey, rather than the shootout. The rules are as follows: Once you pick a team, you can go straight into a game or edit the game conditions. You can have the game be set to three 2-to-4-minute periods or have it so that the first team to reach a set amount of goals wins. You can also have the option that you have to win by two goals with the latter. There’s also the money puck, an option that allows goals scored to occasionally be worth two or three goals. It also occasionally takes away goals from the other team. It makes for a fun time, in the right conditions. The big problem with this mode, however, is that it gets old fast. This is a game that you need to play with friends, or at least online. Playing against the AI is a fun experience the first time but doesn’t offer anything new in subsequent games. Another problem is the default rosters for some of the teams. While some players are still on their former teams (Alexander Radulov is on Montreal’s roster), that is something that will probably be fixed by the full release in September. That is not the problem, however. If you just mash buttons to get into the game, you could be in for a surprise. For a team like Chicago, you’ll be okay with Jonathan Toews, Patrick Kane, and Duncan Keith. Pick New Jersey and you’re in for a surprise. Their default roster consists of Adam Henrique, Kyle Palmieri, and Miles Wood. Does it seem like someone is missing there? Somehow Taylor Hall is only good enough to start the game on the bench as a substitute. Players like Jamie Benn in Dallas and Johnny Gaudreau in Calgary get the same treatment. Winnipeg’s Patrik Laine isn’t even a default substitute. Perhaps the biggest crime concerning the rosters has to do with Edmonton’s roster. You think that the default center would be an easy choice for that team, right? Well, maybe not, since Edmonton’s default center in NHL Threes is Mark Letestu. Connor McDavid, NHL 18’s cover star, gets relegated to the bench. Those problems can hopefully be fixed by the release of the game. After all, this is just a beta. One thing that is unlikely to change is the commentating. No offense to the guy that they hired to do it, but it sounds like the world’s worst hype man is commentating this mode. It’s not even his fault; it’s the writing team. Just some of the lines that popped up were ridiculous. At one point after a game ended, the commentator told fans to take as much food as they can because you never know what could happen on the way home before mentioning a zombie apocalypse. If it gets weirder than that, it could get grating real fast. So is it a bad mode? No. As noted before, the roster problems should be fixed. You’ll actually be able to play as the Vegas Golden Knights. If you have a group of friends, it will be a fun game mode as you try to leave each other in the dust with all the new dekes and between-the-legs shots that have been added to the game. Just be sure to play with the volume down. 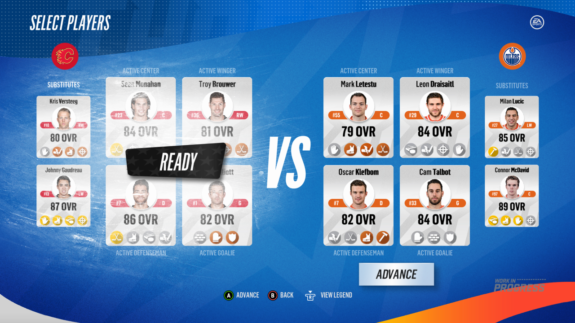 For more on the NHL 18 Beta, be sure to check out fellow THW contributor Drew Johnson’s piece about the changes to the EASHL mode.